As we age, we can run into a host of problems including loose, sagging skin. 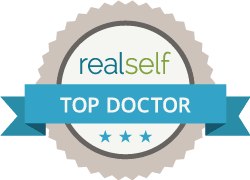 If you feel like your skin has lost all of its collagen and is hanging a little bit lower in places that you never thought it would, then it might be time to consider one of the skin tightening treatments that Dr. Wiener offers. If the thought of going under the knife to get rid of the skin on your neck that looks like a chicken is enough to make you want to run for the hills, then we have news for you. Here at our office, we offer patients two non-surgical treatments to help, patients like you, get rid of loose excess skin so that you have a more youthful look. This BBL treatment uses gentle pulses of radio frequency to heat the deep layers of dermal collagen. Once the areas have been heated to a certain temperature, it initiates the body’s natural healing process which results in new collagen for stronger, firmer skin. Plus, since SkinTyte is non-invasive, you won’t have to worry about any recovery or downtime which means that you can get right back to regular activities, wearing makeup, and applying sunscreen. Ulthera is the only FDA-cleared non-invasive procedure that is used to lift skin on the neck, eyebrow, and even underneath the chin. And, it’ snow the only FDA-cleared treatment that is used to improve the appearance of fine lines and wrinkles on the decolletage. Are you ready to take the next steps to getting firmer, tighter skin? If so, contact us at our Chicago office and call us at (773) 763-3990.